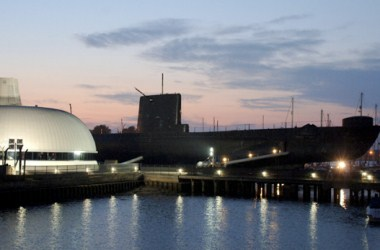 The Royal Navy Submarine Museum is conveniently located at Haslar Jetty Road, in Gosport city. Discover the excellent facilities available to hire at the prestigious museum set on the shores of Portsmouth Harbour overlooking the magnificent Spinnaker Tower. Available all year round for dinners, parties, weddings, trade fairs, product launches and meetings - no event is too small. The futuristic John Fieldhouse building shaped like a submarine with panoramic harbour views has a modern spacious interior which is fully adaptable. This venue is available all year round for dinners, parties, receptions and meetings etc.